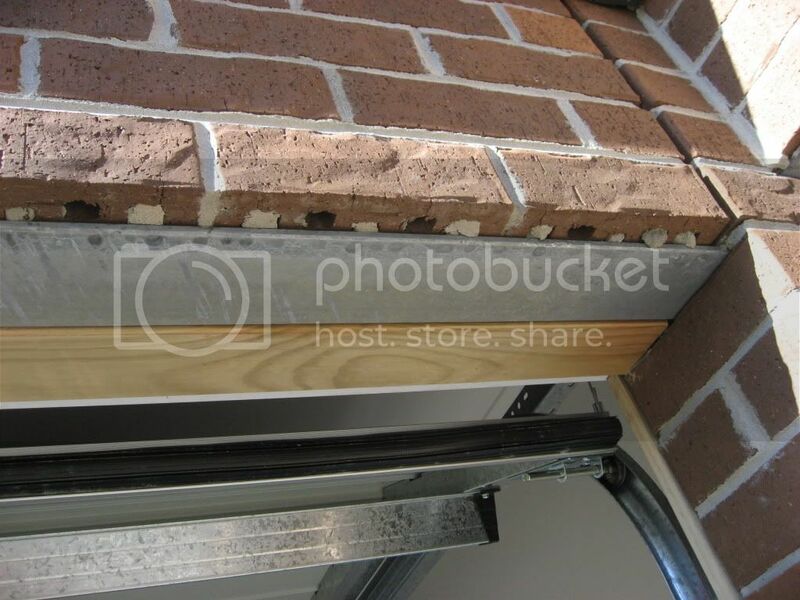 homeone.com.au›Building Forum›Building, Renovation & Maintenance›Building Standards; Getting It Right!›60mm Overhang On Bricks? We have just been down to see our house and we have noticed that around the study area there is a 60mm overhang on the bricks over the edge of the slab. What can they do to fix this as according to the BCA the overhang should only be 15mm? Concreters did a bad job with the slab and it is out of square. What can we do about this as we are not very happy! Re: 60mm Overhang On Bricks? We had a similar thing at the front of our house. Our builder put metal brackets in to provide extra support to the bricks. Make sure you see copy of the engineer's report which recommends the solution to this problem. Don't just accept a verbal from the builder. Get a independent inspector ASAP. Once you get a written report hand it to the builder and refuse to pay unless its fixed properly. That looks bad. If the slab was poorly made then should be fixed not some quick fixes. We have also had a steel lintel installed along our garage wall to fix the same sort of problem. Would you "accidently" knock the timber to let the builder know its not acceptable? speak with ur ss and send an email with photos to cso and quote the relevant Standards and Tolerances clauses, let them know tat these sort of ** and unprofessional work is unacceptable. You can't stop payments, that would be breaching the contract. The only time you can do that is at handover. Ditto - fully document and quote tolerances. Why is it so hard to get decent brickies/concreters these days? I hope they installed that timber only temporarily, to allow the bricking to start, and that they are in the meantime getting the engineer to design the final solution. Although, I don't agree that they should have proceeded with bricking before this was fixed. They have to fix it as otherwise they would be breaching the contract. But just in case they are not one of the more agile builders, I would email them the photos and the concerns. It's then their responsibility to "figure" that this is well outside the tolerances, but you could still add the relevant rule from the Standards that has been breached. Another engineer and i both looked at those photos, and both agree, that is plainly unacceptable. Definately red flag it and get them to rectify it asap. The site supervisor has said that the are going to drill into the existing slab and add another slab underneath it and give us an extension onto our patio (because its not really a structural wall should i still ask for an engineers report?) As far as termite protection goes cause of the cavities straight up the bricks i've asked for more termite protection. Yes, it would be prudent to do so. The bricks over our garage were the same, it's not a good look, our builder fixed the problem, by adding to the lintel. It wasn't as much as yours is though and only to the front of the house over the garage. I would be asking for it to be fixed properly, it's just not right. he only way to fix this is to drill lots of holes along the side and insert dowels all the way. Then poor concert into it. Although this method is very difficult once the bricks are already up. How did your builder fix the problem? I ask as the brickwork over our Garage overhangs the edge of the lintel by around 35-40mm and apart from it looking unsightly and poorly finished, our concern is that only around 2/3rds of the width of the bricks are being supported. What brick colour is that? Looks like the Austral impressions range..
Building with Jandson Homes - Eclipse 18. The carpenter got a piece of treated timber he placed it under the bricks, they then painted it paperbark to match. They have done a good job, you can't even tell it's been done now. My Son's boss was going to send his renderer over to render it, but we opted for the timber. Make sure you get it fixed as it's not a good look. I ddin't want that showing at the front of the house. forgot to say, our lintel was a paperbark color. I was actually thinking of suggesting this as a solution but wasn't sure if it was that sensible a suggestion. However, if its already been done and the final execution looks good, then I will definately suggest it. well they certainly didn’t do that. I know they put some sort of cement to widen the slab and then rendered over it. Have asked my building surveyor to reinspect. Why frames overhang on slab?Why frames overhang on slab?